Kalaiarasn from Chittheri serving on T6 Arakkonam Shollingar for the past 10 years. He is very well known on this route by the public. He is too kind and gentle to the school students majority of free bus pass holders. Taking students safe and none is allowed on foot-boards. 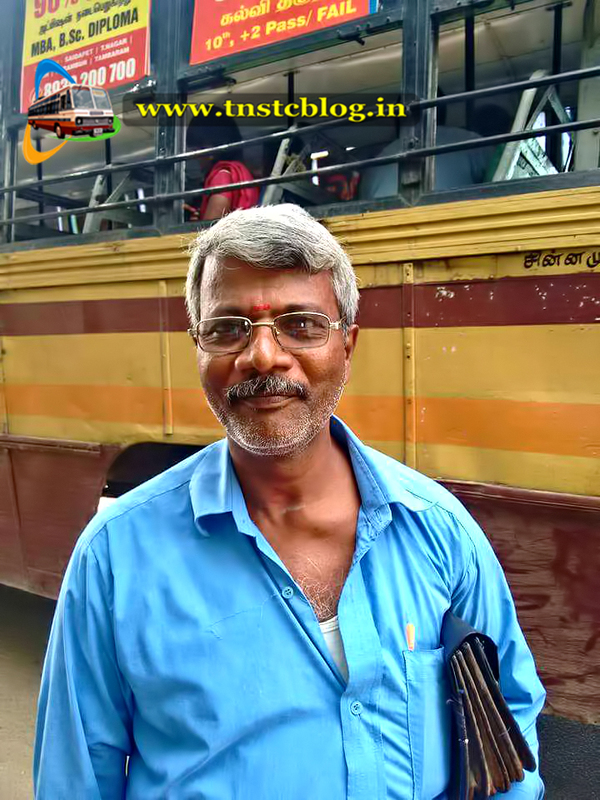 we TNSTC Blog pride to honor the service of this conductor. A role model to other conductors in TamilNadu.